Compared to gold and silver, the amount of platinum used as investments is much smaller and the existence of a platinum market is less well-known to the general public. Roughly five million troy ounces of platinum is mined per annum, which is not much when you consider the 80+ million troy ounces of gold mined each year. The annual silver mine production is even higher; nearly 550 million ounces of silver is mined in an average year. On the spot market, platinum is traded with the code XPT. When trades are settled in USD, the code is XPTUSD. For quite a long time, the platinum price was significantly higher than the gold price. In 2014 this changed, as the platinum price fell well below the price of gold. Part of this shift was due to a rising gold price. Historically, the prie of platinum has been high in relation to gold during periods of sustain economic growth. In periods of economic problems, demand for platinum goes down and that brings the price down. 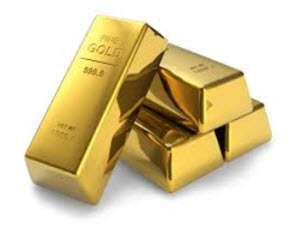 Also, periods of instability tends to push the demand for gold upwards, causing an increased gold price. More than 75 percent of the yearly platinum mine output is from South African mines. This makes the platinum price sensitive to South African issues. In 2008, power delivery problems for South African mines caused production concerns that boosted a global price increase for platinum. In March 2008, the price peaked at 2,252 USD per troy ounce. 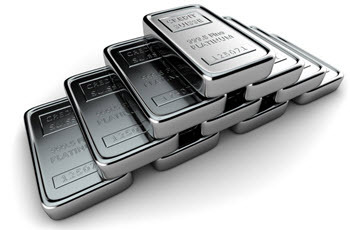 Examples of exchange-traded products that can be used to gain exposure to the platinum price are platinum exchange-traded options, platinum exchange-traded futures contracts, platinum exchange-traded notes (platinum ETNs) and platinum exchange-traded funds (platinum ETFs). Platinum ETFs are available through several exchanges, including the London Stock Exchange and the New York Stock Exchange. If you believe that the price of platinum is going down, an inverse platinum ETF can be a good choice. Of course, you can also short platinum or platinum-based derivatives the old-fashioned way, but that will require a margin account and comes with greater risk. Compared to gold and silver, few platinum coins have been minted. Platinum is expensive and minting platinum coins is rather difficult. One example of an platinum coin is the American Platinum Eagle coins created by the United States Mint. Platinum rounds look like coins but are not minted by a government as legal tender. The platinum content can vary. 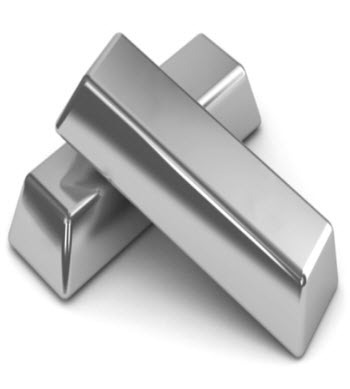 Platinum ingots used for trade at exchanges such as the London Platinum and Palladium Exchange must be assayed, hallmarked, stored and transported in accordance with the rules of the exchange. This is to make the trading more efficient; each individual trader shouldn’t have to inspect and assay the platinum offered for sale. 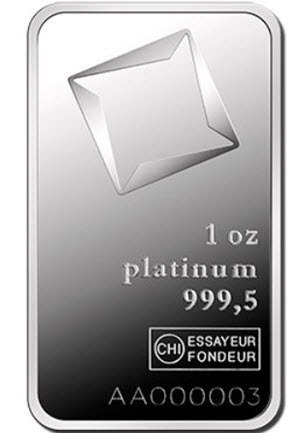 In some countries, such as Switzerland, banks will offer platinum accounts where you can buy and sell platinum. Before you make an investment, it is important that you inform yourself about the legal framework. Will you actually be the owner of specific platinum ingots or will you just have a general claim against the bank? This distinction can be important in various situations, e.g. in case of a bank run, if the bank forfeits assets of if the bank goes into bankruptcy. Instead of exposing yourself directly to the price of platinum, you can invest in platinum producing companies such as platinum mines. Public companies have their shares listed on an exchange, which typically translates into higher liquidity and smaller spreads than for over-the-counter traded shares. Also, exchanges impose and enforce their own set of rules for listed companies and these rules tend to be much stricter than the bare minimum required by law. The London Platinum and Palladium Market (LLPM) is the world’s largest over-the-counter trading centre for platinum and the trades made at the LLPM has a huge impact on global platinum prices. The LLPM was founded in the 1980s, it was in close cooperation with the Bank of England which, at the time, was the regulator of the precious metal market in England. Today, the primary regulatory authority is the UK Financial Services Authority (FSA). The trading week is Monday – Friday. During those days, platinum fixings are set twice a day – once during the morning session and once during the afternoon session. The first time point is 09:45 UTC (10:45 CET) and the second time point is 14:00 UTC (15:00 CET). The platinum fixings are set by four LPPM members via telephone. The LLPM members are platinum producers, refiners, fabricators, manufacturers, distributors and large international banks. (See below.) The bid price is the price at which LPPM members guarantee that they will buy (good delivery) platinum. The LPPM bid price functions as a benchmark for the market and consequently for the platinum industry. Just as for gold and silver markets, many trades on the LPPM are speculative with none of the parties having any intentions of making delivery or taking delivery of physical platinum. Instead, most trades are cash-settled or cancelled out in advance. The LPPM Members are platinum producers, refiners, fabricators, manufacturers, distributors and large international banks. An member can be either a full member of an associate member. The list of associate members is considerably longer than the number of full members. Heraeus Metals Germany GmbH & Co. KG Metalor Technologies SA Tanaka Kikinzoku Kogyo K.K. 1973: The London Platinum and Palladium Quotation is established by a group of metal dealers. 1979: Major metal dealers based in London and Zurich signs an agreement to standardize their good delivery rules. 1987: The London Platinum and Palladium Market (LPPM) is established. 1989: The LPPM platinum quotations expanded into full-fledged fixings.